You might’ve noticed that posts to this blog have been a little sparse as of late. Of course it’s not always possible to post every singe day, as I’d like, but it’s been a week since my last post. And even before that, I was reduced to just putting up trailers and things I could publish quickly. Even though it’s not related to screens in any way, I’d like to explain why (for those who don’t already know) this blog has been – and will probably continue be – a little light on posts. Yup! By 6:30 this evening I will be a married man. Needless to say, wedding preparations have monopolized most of my free time. But to be honest – as much as I love writing for this blog – I wouldn’t have it any other way. I will keep posting to The Screen Life – probably irregularly for the next month or so, until we’ve settled into GR and I have a job. Until then, wish me luck!!! Christopher Nolan’s next mega-cast science-fiction cinematic event stars Matthew McConaughey, Michael Caine, Anne Hathaway, Jessica Chastain, Casey Affleck, Ellen Burstyn, John Lithgow, Topher Grace, Wes Bentley, David Oyelowo and Matt Damon. The newest film from John Michael McDonagh (The Guard), brother of Martin McDonagh (In Bruges, Seven Psychopaths, and the Oscar-winning short Six Shooter). This family seems to have a great working relationship with Brendan Gleeson. I remember when a new Lasse Halstrom picture used to be cause for excitement: What’s Eating Gilbert Grape, The Cider House Rules, even Chocolat. But over the past decade his output has been more and more disappointing: Casanova, The Hoax, Dear John. 2011’s well-received Salmon Fishing in the Yemen was a exception to his downward trend. Unfortunately the trailer for his newest, The Hundred-Foot Journey, looks to put him back on the wrong track. I’ll be honest, even in the best of his best films Halstrom can get a little heavy-handed with the sentimentality. But early in his career he proved a deft ability to keep it balanced. From the looks of this trailer he’s tipped the scales fully over to the “schmaltz” side, with very little cleverness to make up for it. With Marvel’s Agents of S.H.I.E.L.D. 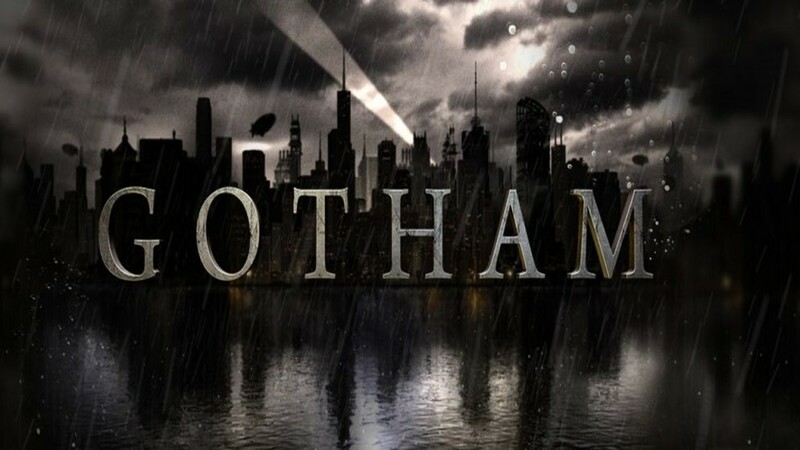 a qualified TV success for ABC, Fox and DC Comics are offering up their answer with Gotham. The new series appears to cover the origins of Jim Gordon, Bruce Wayne, and several of their most famous nemeses. Creator Bruno Heller also co-created HBO’s Rome and CBS’ The Mentalist.